Join us for a series of webinars about Infor VISUAL 8. Our VISUAL Experts will take you through the highlights of the newest version of VISUAL, as well as dive deeper into the new features and functionality. These webinar sessions will be 45 - 60 minutes each, and we will allow time for questions. In this session, see the new changes to the user interface that transforms VISUAL into a system of engagement. Learn about the new graphical user interfaces with increased drill-down functionality, expanded screens and advanced browsing. See how this new user interface can help improve employee productivity. This session will also introduce new customer-sponsored enhancements coming out of the various VISUAL forums, such as Infor communities, Xtreme and User Groups. In this sesson, we will demonstrate how you can transform your VISUAL splash-screen to launch custom designed web pages. 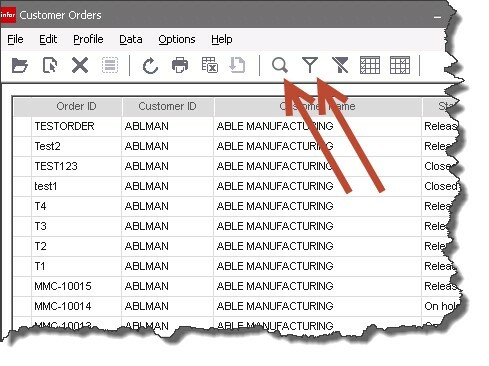 Also, see how users can use new Dashboards to create their own view into the VISUAL business data with complete vertical and horizontal drill-through to all levels of detail. 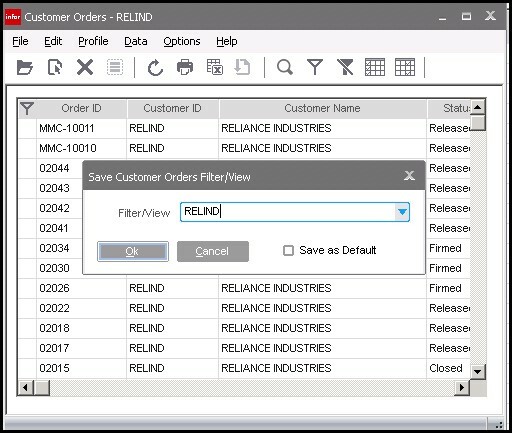 Companies can now record and track business partner activities through the entire sales and procurement lifecycles. Activity categories and types can be defined to satisfy your specific business needs, allowing you to become more insightful and proactive to your customers' needs. This session will provide a detailed overview of how to implement the activity feature and why activity tracking will become an important part of your business process to help drive efficiency and customer satisfaction. Whether you are on VISUAL 6 or 7, in this session, we will cover the key items that must be considered when upgrading to VISUAL 8. This will include, but not be limited to, the database schema changes associated with multi-site (7.1.0), double byte (8.0.0), as well as platform, operating and database platform considerations. This is a highly recommended session for all customers planning to upgrade to VISUAL 8. Mark your calendars and keep checking back for the individual webinar registration information. We look forward to your attendance! Did you know that you can save your frequently used browse filters? 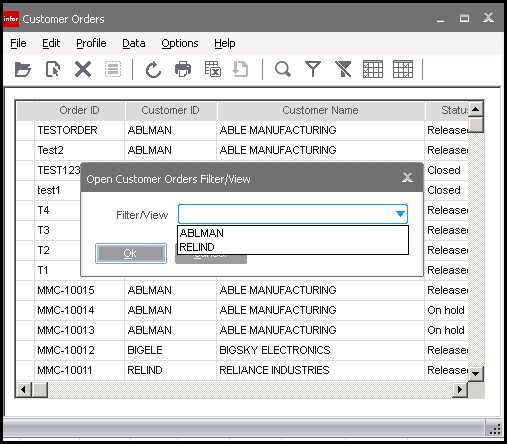 Many Infor VISUAL users use filters within the browse windows, but may not know that they can save the search criteria for future use. Larry Tussing, BizTech VISUAL Consultant, will show you how! 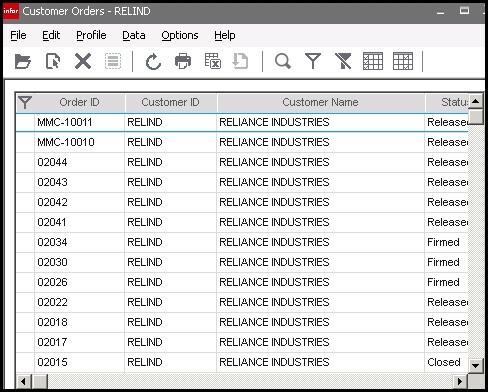 In this example, we have browsed Customer Orders within Customer Order Entry. 1. Choose your method of searching or filtering; either method will work. 2. Enter your search/filter criteria as you normally would. 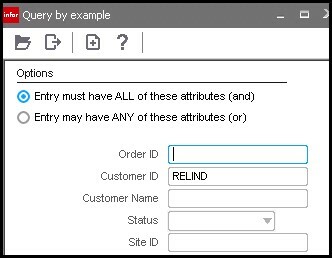 In the example below, I clicked Search and entered Customer ID "RELIND" as my criteria. 3. If I would like to easily rerun this search, I can save this by clicking Profile and Save as. Click the name you would like to use, and click OK.
5. The next time I browse Customer Orders in Customer Order Entry, this search will be available by choosing Profile, then Open. As you can see in the example below, you can save multiple filters. Now you can save and use any frequently used search criteria in Infor VISUAL's browse windows!